TSheets Help - Why is Time Clock showing a negative number of minutes worked? Why is Time Clock showing a negative number of minutes worked? 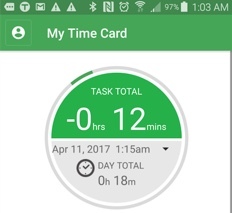 When you clock in, if you see a negative number of minutes worked, that indicates that your company's account administrator has installed the Timesheet Rounding add-on. 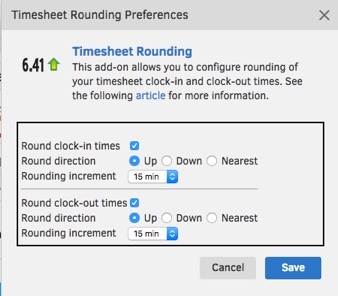 In this case, the account administrator set up timesheets to be rounded up to the nearest 15 minutes, as shown below. The employee clocked in at 1:03 AM, so the clock-in time was rounded up to 1:15 AM, causing the -12mins. And, if the employee clocks out at 9:03 AM, the clock-out time will be rounded up to 9:15 AM, resulting in a full eight-hour timesheet. If you have more questions about timesheet rounding, feel free to contact our Support team.